Fans gather along the fence outlining the stadium impatiently waiting for the ceremony to start. Players watch from the bench, cheering on their teammates walking across the field with their families. The team had just defeated Westfield 4-2, just in time for Senior night. A year ago, Kaitlyn Weldy did not know that she would be standing under the lights that night. Weldy, who has been destined for D1 since before high school, accumulated award after award her freshman and sophomore years in soccer and track. 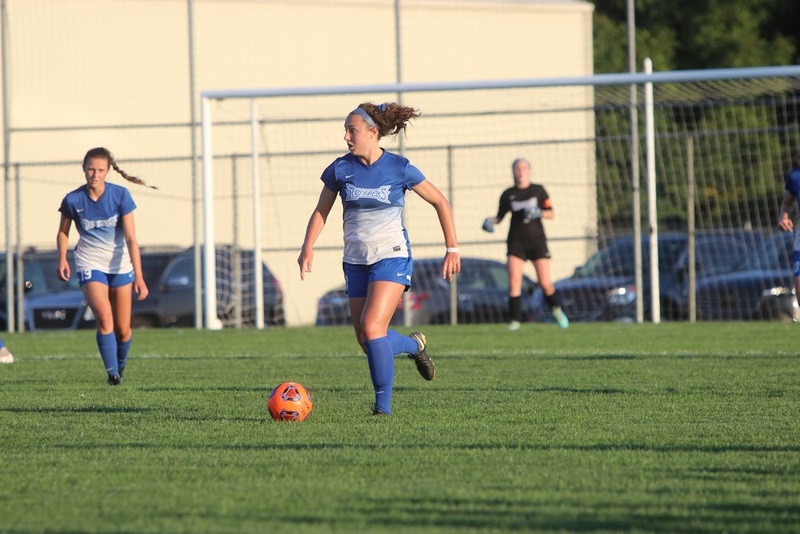 Her Junior year, however, her club team joined the US Soccer Development Academy [DA] league, which left Weldy to decide what level of soccer she wanted to play at and where her opportunities in soccer would be. To Weldy’s disadvantage, the league prohibits its athletes from playing for their high school teams so that players can commit all of their time and energy to only one team. DA is the highest level of soccer which hosts the most elite players. The program is committed to the philosophy of improved training and fewer and more competitive games that follow the International rules of play. And she fell back right to the school team after just one season. Despite its connections, the league was flawed. Its disorganization resulted in Indy Fire dropping the DA title, meaning Weldy was eligible for high school soccer again. It would be a last hurrah for the Senior as she embarked on her final season as a Royal. Wearing the Royals jersey once again, Weldy transitioned to a new position where she quickly became a roadblock for the offense. Weldy filled the missing space within the team that was not present before she returned. Teammate, senior Claire Wilkinson, has played with Weldy for many years and was excited for her to return playing and see her take on a new responsibility. It is not just soccer that Weldy has excelled in. She ran track her Freshman year in which she qualified for State in two events: 4×400 relay and 4×800 relay. The long list of other sports she has played over the course of 13 years have groomed her into the soccer player that she is today. Lessons of time management, determination and hard work that have been learned are incorporated into her daily life as a result of her athletic endeavors. It was those moments and a love for the game that made Weldy want to explore playing in college. The long and tedious recruitment process began her Freshman year. This fall, Weldy will be continuing her soccer career at Samford University in Birmingham, Alabama. It is no doubt that Weldy will continue to make the same impact there than she did while wearing the Royals jersey.